On January 13, in the year AD 532 Byzantine Emperor Justinian attended a tense chariot race in Constantinople’s Hippodrome. The competing chariot teams were known simply as the Blues and the Greens, the colors they wore. But these were more than sports teams. They had become important political factions with which the people of Constantinople and the Eastern Roman Empire identified. They had become the face which the people wore to interact with their leaders. And on this particular January day, the people were angry. Three days earlier, some of the leaders of both the Blues and the Greens organizations were arrested and sentenced to death by Justinian for hooliganism gone too far. When two of the hangings were botched and a surviving representative from each of the Blues and the Greens was carried off to a church to seek asylum, the supporters of both groups united to petition for a pardon for the two men. Anyone who has ever been swept up in a sports rivalry will understand that when rival fans find common ground in a sports stadium, it’s time to get nervous. Evidently Justinian knew that. He took off, barricading himself in his palace. That very night, to the cry of “Nika!” (victory or conquer), the rioting began. 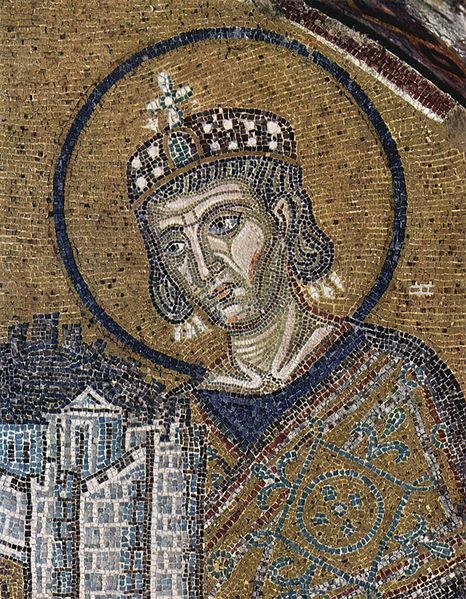 Large parts of the city burned and five days later the exhausted Justinian called on his loyal military leaders who successfully herded the rioting mob into the Hippodrome and slaughtered them. The Nika riots were over. Nothing positive had been accomplished. And 30,000 people were dead. This is not a lighthearted story from history. And I apologize that this is not my typical lighthearted post, but I’ve had riots and the devastation they can cause on my mind lately. You see, I live in the greater St. Louis area. I don’t live in the suburb of Ferguson, but like its citizens, St. Louis is the city I call home and the residents of Ferguson are my neighbors. And I think I can safely speak for a lot of us who live in the area when I say that these past almost two weeks now, have been a terrible emotional strain. My heart breaks for the family and friends of Michael Brown, who in their eyes was a gentle giant whose possible actions on the day of his death were very out of character. My heart also breaks for the family, friends, and coworkers of Officer Darren Wilson who are struggling to cope with the repercussions of what they see as an atypical action of a good cop. And my prayers are with the investigators charged with figuring out how this all went down to begin with. But above all, my heart cries out for the people of Ferguson, the Greater St. Louis community, and this multi-colored nation of equals where there is still enough pain and mistrust bubbling beneath the surface that one tragic event can cause us to lash out at each other. Because the Nika riots weren’t about chariot racing. They weren’t really even about seeking pardon for political leaders. They were about a people who felt they were being unfairly burdened by a government that wouldn’t hear them. They were scared for their futures and spurred on by an opportunistic movement to depose the sitting emperor. I don’t think the Ferguson riots are entirely about the shooting of Michael Brown. If they were, then the media could move on while the very careful investigation stretches out and the crowds could return home (for many, many of them that’s not Ferguson, or St. Louis, or even Missouri) and await the findings. They could stop tearing apart the streets and keeping the children who should have started school last week, at home and scared. The riots in Ferguson continue not because a white police officer shot a young black man, but because no matter what the investigation shows were the causes of that incident, and no matter where the blame lands, we live in a nation in which it still isn’t so hard to believe that our racial differences divide us to the point of senseless violence. I’m choosing to write about this not just because it’s difficult to focus on much else in my corner of the world right now and certainly not because I have answers. But I write because I have been disturbed by the way the media has portrayed the Ferguson situation. In most instances the news has been negative and misleading. Members of the media have been guilty of rushing to draw erroneous conclusions that have served to inflame passions. Coverage has focused on the unforgivable actions of a militarized police force that in reality has gone out of its way to minimize injuries to protestors even while sustaining injuries itself, often backing down when it seemed safe to do so, clearing streets and business areas where violence appears likely to spread, and, yes, occasionally asking members of the media to (gasp) comply with its instructions. What we haven’t seen much of, and I think, because I live in the area, I hear more of it than the national and international media lets out to the world, is the number of area clergy walking through the crowds to be a calming presence encouraging peaceful protest and discouraging violence. The media hasn’t focused much on the African American business professionals who mingle with the crowd to spread calm and sense in the midst of anger and fear. What you may not have seen is the groups of peaceful protestors coming together with police to identify violent and criminal opportunists among the crowd, nor have you been shown the members of MIZZOU’s Phi Alpha Phi black fraternity cleaning up the streets and going door to door in Ferguson to register voters so that its citizens can bring about the change in leadership that will give them a louder voice in their community. I write because I want you to know that I am proud of this community and of the people in it who understand that further violent or criminal actions only cause more harm. I have hope for Ferguson. It’s going to be a long road, but I believe that when the dust settles and the outside protestors, media, and opportunists go home, it will pull itself up again and stand together as a stronger community with citizens who understand each other a little better. Because I think the people of Ferguson see the damage this continuous rioting is doing and I think bit by bit, they are beginning take their town back from the riots. And bit by bit, they will find more effective ways to heal their wounds. Informative, heartfelt, and beautifully, convincingly expressed. Thank you. You are so right. A welcome voice of calm. Nicely woven-together! I’ve stopped getting news from our mainstream media channels due to their lack of substantive reporting and their constant fearmongering and attempts to inflame (i.e. for ratings and money). They seem to be only eroding our culture further. I like BBC for their more neutral, sensible reporting. Maybe we should all start listening to bloggers instead! Thanks for the thoughtful, closer view of what’s going on in Ferguson. 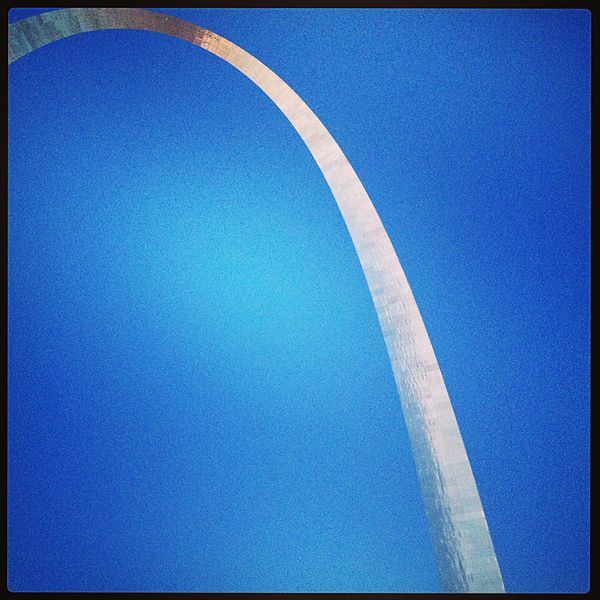 My husband and daughter will travel to St. Louis this weekend for a conference for Addictions professionals. This is well said, and very worth the read. Bravo to you, Sarah. It’s good to hear of the positive actions by those actually working for peace. Thanks for your report and observations. If we examine the phenomenon on the basis of what happened, divested of all symbolic associations upon which we confer an extra dimension of meaning- involving due process, legal jurisdiction, and the like, the kid was simply murdered. It wasn’t the “force” of police power that murdered him, nor whatever sanction could be claimed by such a thing. The kid was murdered. The cop hides behind a badge, which is piece of metal. He drives a car with lights on the top. Why should anybody confer upon him this mystical right to exercise violence? The police state is only possible if one acknowledges the sovereignty of the “police,” and the metaphysical delusion of a state. Murder is easy when its symbolic. Also, what do you think about riots? Riots cause devastation and accomplish nothing positive. History is littered with evidence of that. Rioting and protesting are NOT the same thing. Protests, done well, can serve and have served to heighten awareness of social problems and spur change. And you’re absolutely right. Have you heard of the ancient Roman legal concept of iustitium? It’s pretty interesting. In any case, the only true cause is the one that sheds no blood. I’ll keep tabs on your blog. I wasn’t familiar with the term, but basically the clamping down of a government to regain control in the midst of unrest among society, yes? A very slippery slope. In civil society there has to be a careful balance between governmental power and individual freedom. Of course that is precisely where most of the political disagreements come from in democratic nations because even though most of us agree that it should be maintained, we have different ideas of just where that balance point needs to be. Thank you for the interesting discussion! Most of my blog posts don’t generate this type of response because they are lighter in nature. But my blog is called philosophy in a thoughtless world. In fact you gave me an idea for a question I’ll pose on my blog. I don’t disagree with the basic truth of that statement, but the problem is that if we live in a society in which rule and order is important to us to insure public safety then a police presence is necessary. I’m not prepared to condemn either the officer or the victim in this scenario at this point because I don’t have all the evidence and because I am not serving on a jury that has the resources and responsibility to do. True, but there is no necessary relationship between the crime and the punishment, nor is there one between police action prior to the establishment of culpability. Understand, I have no desire for argument, but only for kind of discussion that produces something in the end, which your blog does so out of respect for fairness, and mine, out of respect for truth. But I just started this blog, and what I set out to do is to take on world problems from the standpoint of philosophical representation. You are already great at what you are do. Thank you very much for your kind words. I don’t often tackle much in the way of difficult world problems on this blog, but I’m glad that others use the medium for useful discussions. Best of luck to you. The Ferguson, MO situation: Sarah gives a thoughtful and balanced overview of this unfortunate incident. Sarah, Very Well Written! I wish you could be interviewed on all the TV networks. They need to hear your thoughts. Thanks very much. I hope that more of the good stories can find a way to the surface.